The Motor & Equipment Manufacturers Association is part of a group of 45 organizations across different business sectors calling for an end to steel and aluminum tariffs from Canada and Mexico that were imposed by the U.S. last year. 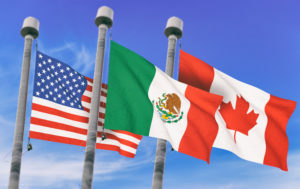 The group sent a letter Jan. 23 to Department of Commerce Secretary Wilbur Ross and United States Trade Representative Robert Lighthizer emphasizing the importance of eliminating the tariffs as the ratification of the new United States, Mexico, Canada Agreement (USMCA) approaches and replaces the nearly 25-year-old North American Free Trade Agreement (NAFTA). The letter is one part of a multipronged effort on the part of MEMA to push for the end of steel and aluminum tariffs.